We had this stack of beauties for breakfast today, in honor of the occasion. They're pumpkin & crystallized ginger waffles and they are the epitome of pumpkin perfection. Thanks to my sister Devan for turning us on to them during her visit last weekend. Don't deny yourself the power of the pumpkin! Give them something good to eat! Recipe can be found here. Happy Pumpkin Day! *I think the photo might be mildly blurry, not sure. My eyeglasses are still in recovery. Was wearing my sunglasses, indoors, on a very grey day, in an always darkened house, when taking the shot. As I write this, the cove back here is filled with fog and mist. Both of the large maples have finally gone yellow and their riot of color is littering the porch, little sheets of gold falling softly down, down, down. The mood outside fits the bill, given that it's Halloween weekend! Come check out my "Small Measures with Ashley" post this week on Design Sponge where I talk about putting the 'Eco' in Ectoplasm and offer tips for greening up Halloween. Do you have any spooktacular plans? We're probably going to just lay low. My glasses are still in the ICU, on life support. Hopefully I'll get them back safe and sound soon, but I'm pretty much crippled for distance-viewing without them. I'm busy working on the cheese chapter of the "Home Dairy" book, too, with a fridge groaning under the weight of multiple gallons of milk, untold cartons of cream, and completed items like ricotta and cottage cheese (on today's agenda-mascarpone and paneer!). A quiet weekend at home is what's in order for this vision-impaired, deadline-approaching lass. I live vicariously through the outings of others, though, so do tell what you've got in store! My husband is an incredible chef. Friends and family clamor for his foods. Seriously. My younger sister, Devan, who was just visiting, had offered during her stay with us back in June, to return in October and refinish the wood floors in our upstairs area in exchange for being fed Glenn's food. While I exempted her from that task (we really only had 2 full days together and the weather was much too glorious for primer and shellac-or whatever it is you put on wood floors...), Glenn held up his end of the bargain. -Peel and cube 4 apples. Roast them in the oven at 350 for 30 minutes. Set aside. Leave oven at 350 degrees. -Cook one pound of gobetti or a similar noodle till al dente, drain, and set aside in a large, buttered pyrex baking dish. -Meanwhile, sweat one medium diced onion in a little oil for a few minutes. -Add a couple minced cloves of garlic and cook for a couple more minutes. -Set aside in a bowl. -Add three tablespoons flour and an equal amount of oil to the pan (the one used for cooking the onion and garlic). -Stir consistently over medium heat to make a blond roux. -Add two cups of milk and whisk into roux. -Add a pound of grated sharp cheese, stir until smooth. -Add some grated nutmeg, a couple dashes of hot sauce, a pinch of salt, the onion and garlic mixture, the roasted apple -cubes, and a handful of chopped sage leaves. -Beat four eggs in a bowl, then stir the egg mixture into the cheese sauce. -Remove from heat and pour cheese mixture into the pan with the pasta. Mix well. -Top with 6-8 ounces of grated cheddar. -Top that with thin slices of apple. -Bake at 350 degrees for 1/2 hour. Finish it off under the broiler for a minute if you like it extra crispy on top. Our "Sweet & Savory Apple Potluck" this past Saturday evening was a wonderful success. Just the right amount of guests came (I think around 18-ish) to make the house feel cozy and festive without becoming claustrophobic! There were two incredibly cool toddlers (Quinn, Elora-you're welcome here anytime), libations 'a plenty, and a roaring fire outdoors in the fire ring, although it was too chilly and windy for anyone to feel compelled to gather 'round it. No bother, it was pretty and that alone justifies it. The real stars of the evening were, of course, the dishes. Guests got quite clever in their apple-making, covering our oak dining table in a feast of savory and sweet deliciousness alike. Thanks abound to all who made it out. 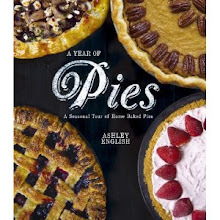 My home and taste buds look forward to the next inspired potluck! It was exquisite. Apple ecstasy was ours! Feel free to steal this idea. I promise it will be well received! I am bereft, friends. Despondent. Saddened. Heart-heavy. The filagreed beauties you see before you were, until yesterday morning, my second set of eyes for the past 12 years. Furthermore, there were an heirloom, belonging to my great-grandmother, Lena May Law. After letting the chickens out early yesterday morning, I returned to the house with the dogs, all set to feed my five hungry, heavily vocal cats. As I was removing my eyeglasses, the left side remained stubbornly stuck behind my left ear. I tugged on it with one hand (a colossally bad decision in hindsight, which, unlike me, is 20-20), and saw the middle begin to bend. In a panic, I lifted them off with two hands and watched them gently break in two. A trip to a nearby optometrist today informs me they are beyond repair. Once the mold is broken, they apparently cannot be mended. I know I shouldn't be so attached to my glasses. I know that, but I don't feel that. Maw-Maw, as she was known to me, experienced her quiet life behind those frames, as did I. I even have a picture of her wearing them when I was just a baby, along with my mother and grandmother in the photo. Sure, I'll find other vintage cat-eye glasses. It's become my look, after all, one which I've curated and like. They won't be hers, though, making the past the present every time I fit them behind my ears and over the bridge of my nose. In the meantime, I'm looking through a lens darkly. Literally. Owning no spare pair (I know, again, another colossally bad decision), I've been relying on my sunglasses. Fortunately, my specs are for distances, so, as long as it's daylight while I'm driving or I'm sitting really close to the television, everything is fine. I'll get a quick-fix pair soon (tomorrow?) and begin the vintage hunt. If you have a good source, I'm all ears (eyes?). RIP Maw-Maw specs. You provided clarity unrivaled. Local travel, aka the "staycation," dovetails nicely with both the resurgent interest in eating close to home and '09 recession budgets. Come check out my post on this week's "Small Measures with Ashley" over at Design Sponge where I chat about the pleasures that can be found close to home. May your weekend be awash in all of your favorite things. Mine will include good times spent with the oldest of my two younger sisters, Devan, and a motley crew of apple-victual-bearing friends tomorrow night (for our "Sweet & Savory Apple Potluck"). Photos and apple creation descriptions forthcoming! 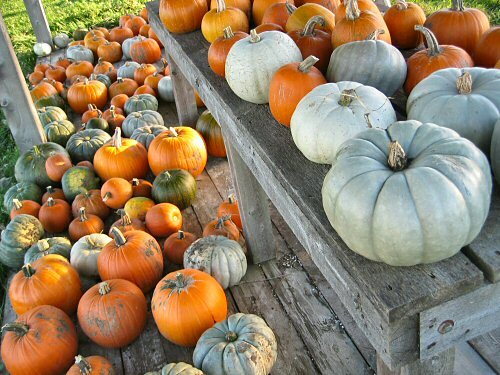 Without question my favorite season, autumn offers up countless offerings of seasonal delights. Here are a few of my top pics. Hot mugs of tea. Butternut squash tucked into anything and everything. Working beside the wood stove. 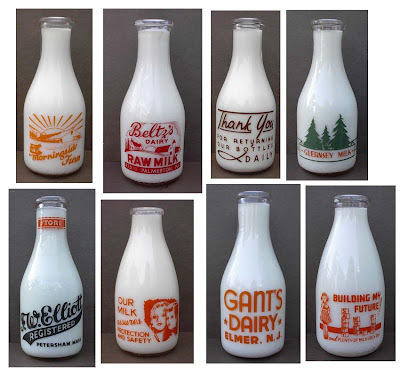 -Milk deliverers reuse their bottles, which are often made of glass (Americans chuck out 470,000 tons of milk cartons each year); few people recycle them. -An abundance of calcium-dairy's a great source of it. And organic milk has none of the hormone rBGH. In many cases, you don't even need to be home to receive your delivery. Suppliers provide an insulated cooler and pack your dairy deliciousness inside. Interested? Check out this state-by-state directory to see if home milk delivery is available where you live. You can also check local.com and insert "dairy farm" in the search engine. For those farms, you'll need to call and see if home delivery is available. If not, you might be able to get a delivery service going if you can wrangle up enough other interested folks. Why buy the cow when you can get the milk brought to your doorstep? The lucky recipient of this month's Small Measure Can-Do Contest is Mommy of Three of Picnics in the Park and Lilly and the Brothers. Thank you SO VERY MUCH to everyone who commented. In the four months since I began this giveaway, October's response was the largest by far. I welcome each and every one of you to small measure. If you were in front of me, I'd give you a tight hug, and, quite possibly, squeeze your cheeks in gratitude. 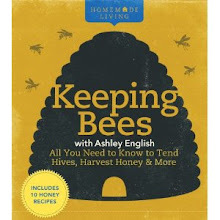 I almost forgot to mention my Design Sponge "small measures with ashley" post from this past Friday. Come check it out, where I discuss the trend towards greener fashion options and how to incorporate them into your closets! I live to tell about the enormous task of picking, peeling, coring, chopping, rendering, caramelizing, spicing, stirring, pouring, boiling, and cooling involved in the production of 150 four-ounce jars of apple butter. From our auspicious beginning on Friday morning to our conclusion last night, in total, 12 hours were spent in the alchemical transformation of apples to butter. We imbibed hot beverages, moved on to pizza and wine, spilled hot apple butter on our socks, listened to Daft Punk and viola concertos (amongst other assorted and sundry tunes), swore, laughed, and got the job done. We became a well-oiled machine, finding each others grooves and rhythms and processes. We had a clearly defined goal and we didn't stop until we achieved it. May the sales staff at Sterling enjoy sampling our apple butter provisions as much as we enjoyed making them! As promised last week, Nicole and I trekked out to Sky Top Orchard in Flat Rock, NC this past Friday for several hours of apple-scented, blue-skyed, wagon-schlepping bliss. While both U-Pick veterans, neither of us had ever picked at an apple orchard. It was an absolutely glorious, highly welcome, sun-drenched morning, coming on the heels of several days worth of constant rain. We picked, pulled, tugged, oogled, giggled, and gathered up 55 pounds of Stayman Winesap, Arkansas Black, Cameo, and Gala apples. There were bus loads containing equal numbers of children and seniors continually arriving throughout the morning. There were goats and sheep and pumpkin houses and hay bale spiders. There were candy apples and hot & cold apple cider and straight-out-of-the-fryer cinnamon-sugar coated apple-cider donuts. This place was the stuff of dreams. If you're ever up this way in autumn, I highly recommend a Sky Top detour. 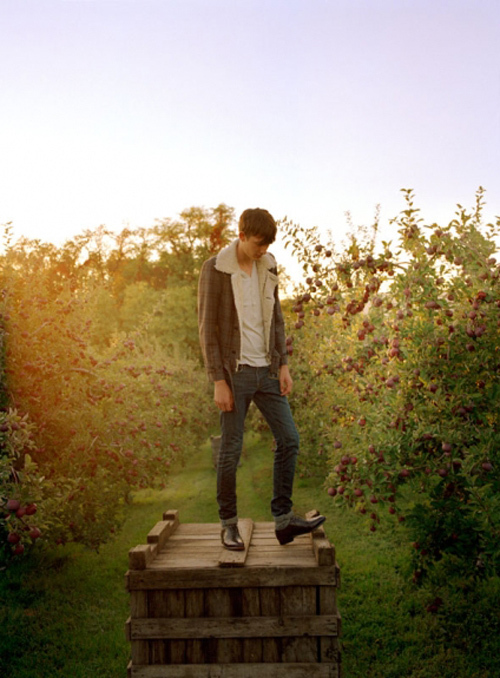 *To see more of our epic apple adventure, go here. Glenn, the pups, and I, aware of the forthcoming 5 days of rain, went on an impromptu picnic and hike yesterday. We made haste up to the Blue Ridge Parkway. We're located at the base of Mt. Pisgah, just a stone's throw from the Parkway. The color up there is absolutely stunning. Breathtaking, really. After getting off to a rough start (I slipped on wet grass and smashed into my right knee cap, while Dexter did his requisite barf-all-over-the-back-of-the-car bit; thankfully, the Outback has a plastic liner...), we hiked through Graveyard Fields to the upper waterfall. Neither of us had ever been there before (Graveyard Fields or its waterfalls-upper, lower, or otherwise). Well, that's the end of that. It's my new favorite parkway spot. Apparently, based on the volume of vehicles in the parking lot, it's also everyone else's favorite parkway spot. I didn't mind the trail companions, though. Aside from the tiny dog that came barreling down the slippery rock face towards Dexter and Fly, the hike went off without a hitch (knee jams and barf sessions notwithstanding). Are you finding any special somethings this autumn? Places, people, eats, sips, etc.? Animal Welfare Approved, American Humane Certified, or Certified Humane - eggs came from farms independently certified by animal welfare nonprofits (note: the latter two do allow beak-cutting). Cage Free - not regulated, but it usually means producers keep hens uncaged in barns or warehouses (though often there's no outdoor access). Free Range - typically means the hens are uncaged and have outdoor access - but nobody checks on the amount or duration. Natural - the USDA says Natural food products can't contain "any artificial or synthetic ingredients, and it must be minimally processed" - vague enough that it could apply to just about any egg. Organic - third-party-audited label that means the hens are uncaged and have access to the outdoors, and get a diet of organic, vegetarian feed without any antibiotics (beak-cutting and forced molting are permitted). Pasture Raised - unregulated, but typically birds raised this way have the chance to go outdoors and eat an organic diet. United Egg Producers Certified - producers can restrict hens to small cages and beak-cutting is allowed (but forced molting isn't). 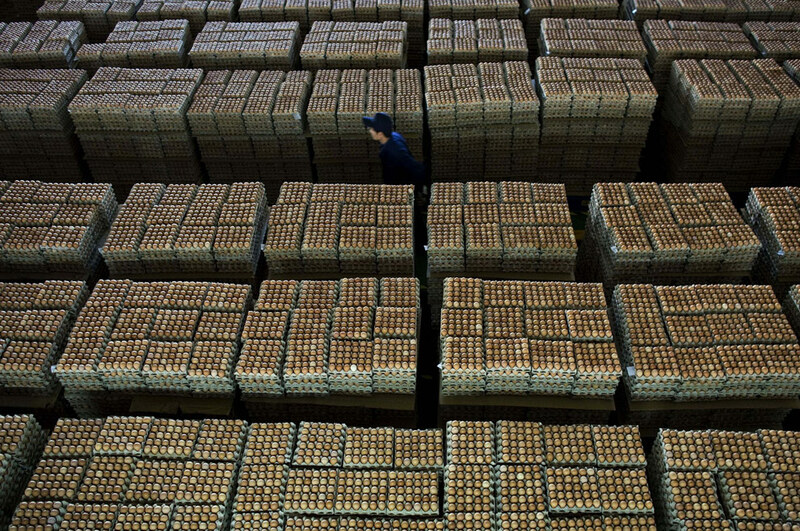 No Label - the hens were probably raised in a factory farm; if a company can make a claim, it usually will." 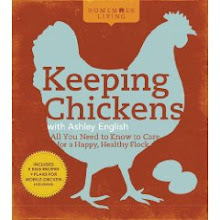 Of course, if you keep chickens yourself, all of the guesswork is eliminated! While I'm embracing the change in temperature with a return to knee socks, scarves, and wrap cardigans, Dexter's preference is plush blankets. Curled up on the couch, anything that cute deserves a good tucking-in with a cozy blanket. I can only hope he'd return the favor should he find me there. Highly unlikely, though. He'd probably body slam me and then salivate all over my face. *Small Measure: Give love with no expectation of return. Plain and simple. I love my dog because I do. He's ridiculous and spastic and leaps in mid-air without provocation simply because of his boundless enthusiasm for life. He won't make my morning tea or rub my shoulders or weed the garden for me, but it doesn't matter. What he gives and shows in his actions is all the return I need. My husband is a "shower", not just a "teller." While he certainly offers up declarations of love, he really lets me know the depths of his devotion by his actions. Anyone can say things. My G. makes things manifest. To wit, I'm showcasing 5 items he recently made. Though enjoyed by both of us, he made them with me in mind. I recognize what a gift that is every day. Buddha-crow keeps opportunistic birds at bay while reminding me to remove any attachments to outcomes, indispensable wisdom when dealing with a forest-situated garden. This potting shed keeps my tools nice and dry, while keeping me on time. You can't see it, but just beyond the shed is a creek, truly gorgeous to glance at and calming beyond measure to listen to when a hard rain gets it really flowing. A potting table to work on. Clearly, it needs a a bit of sprucing up. Attending to all of the garden clean-up is a forthcoming task. Sadly, sometimes the writing I'm always up to overshadows the garden's needs. I'm still learning how to juggle the two demands. Finally, a garden bench for resting my weary bones. The black landscape cloth is a vestige of the garden's former use, when it was enclosed in a hoop house, which we sold back in February. I've got big plans next spring to put either gravel or mulch over it and build raised beds with borders for all of the in-ground beds that were on that side. I'm a sucker for order and visual appeal. My G. knows that and rises to the occasion without my even asking him to. The dogs and cats are enjoying the change in temperature as much as I am. We're all resting languidly outdoors, enjoying the sun and gentle breezes today. Just thought I'd share a few candid images with you. Enjoy! Kali came out to savor the crispness. Jonah is on lounge chair stake-out. Beth has never met a chair she didn't like. Dexter and Fly are clearly enjoying themselves. Everyone but Blueberry and Cleo came out (Yes, that totals 5 cats. Insanity, but, that's the situation). My post on the amazing joy made possible through U-Pick farms is up over at Design Sponge. This time next week, I'll most likely be knee-high in a bushel or two (or 10!) of apples, courtesy of nearby U-Pick farm Sky Top Orchard. Nicole and I will be gathering up many, many sweet orbs in preparation for a marathon apple butter canning session at her place next Saturday. We've been commissioned with making 150 4 ounce jars of the stuff. In case you missed it, that's ONE HUNDRED AND FIFTY jars of apple butter. There will be much sweating. There will be much stirring. There might even be, admittedly, some swearing. But there will also be much giggling and revelry. Hijinks and shenanigans are all but guaranteed. Most importantly, however, there will be apple cider donuts. While not usually a friend of fried, for apple cider donuts, I make allowances when the time and situation call for it. Duty before honor, right? I'll document and report back. What's on your agenda this weekend? May it be fall-kissed and lovely! I had the incredible privilege of shadowing goat cheese-maker Cynthia Sharpe last Thursday at her Bakersville, NC creamery Oak Moon Creamery & Farm. For those of you who've been with me for some time, you might recall this is the same creamery where I took a cheese-making class last March. Cynthia speaks cheese fluently and that was precisely why I elected to solicit her advice, opinions, suggestions, and the like. 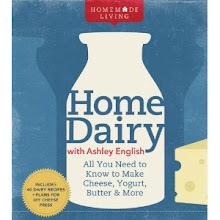 I'm actively writing the third book in my "Homemade Living" series, this one on "Home Dairy." From butter to yogurt, from cheese to buttermilk baths, I cover all the dairy news that's fit to print. Cynthia allowed me to pepper her with questions and queries, answering each with seasoned dairy knowledge. She's my regional "Cheese Queen" (no offense to Ricky Carroll intended). For those of you who live in the area, if you've ever had a cheese-making itch you can't scratch, Cynthia's your Lady. 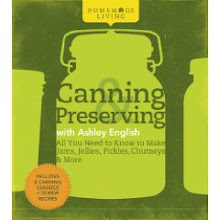 She teaches several cheese-making workshops annually that are a treasure trove of information. Plus, you leave with cheese-and is there really anything better than making new friends and leaving with cheese? No. There isn't. *The last photo is of a creek that runs directly behind Cynthia's creamery. Bakersville is actually that quaint. If you're in the mountains of Western N.C., I highly recommend a Bakersville jaunt. To see more photos from my day of shadowing, go here. From my pantry to yours, this month I'll be giving away a jar of Cardamom Apple Butter. This is the apple butter you will think about when doing laundry, or raking leaves, or walking the dog. This is the sort of apple butter you will ponder uses for when far from it, like when you're picking up pet meds at the Veterinarian's office, or buying an ink cartridge from the office supply store. Once in its presence, this is the sort of spread that might render you unable to continue on with any previously held apple butter restraint. "This toast looks naked," you might exclaim. "Hand me the cardamom apple butter, STAT!" you'll yell. Or, "Whatever shall I adorn my buttery slice of pound cake with?" you might find yourself wondering. "Cardamom apple butter, that's what!" Don't be surprised if you find yourself thinking aloud "My spoon has nothing on it. It needs APPLE BUTTER!" From ham sandwiches to currant scones, this apple delight will brighten up your taste buds while bringing a smile to your lips. It's a personal favorite. Clearly. To enter: Simply leave a comment to THIS specific post by telling me your favorite way of cooking, serving, or simply eating apples. Your comment MUST link to your particular blog or web site (and therefore to your contact information) or include your e-mail address. Otherwise, I won't be able to get in touch with you if you win! Any entries that do not include some way of getting in touch will be disqualified. Deadline: Comments must be received by midnight EST October 19th, 2009. Odds of winning will depend on the number of eligible entries received. Trying to stay warm without cranking up the heat or blowing through your entire budget? Come check out my heat-saving suggestions for being a "Cold Warrior" this Autumn over at Design Sponge. Today G. and I picked up beet and preserved lemon ravioli, parsnips, huckleberry potatoes, kale, beef kielbasa, fennel bulb, and an exquisite croissant from the local tailgate market. After that we stopped into Over Easy Cafe for brunch, followed by a bit of market shopping. Once we returned home, I fired up the mower and spruced up the bee yard, then planted Russian sage, Matrona stonecrop, Autumn Fire stonecrop, White Swan coneflower, and Creme Brulee coreopsis in a little raised stone bed we're christening "Pollination Station" for all the bees (honey and bumble) it draws, not to mention the butterflies, sweat bees, and other winged friends. I did a bit more yard work (including harvesting all of the remaining basil, out of which G. fashioned an incomparable pesto! ), played ball with the dogs, and then relaxed on the patio with a Fraoch heather ale, first sampled in Mallaig, Scotland during August of '06 (I took myself to the U.K. in honor of my 30th birthday). Good stuff, folks, good stuff. Sometimes I find myself in awe of just how easily satisfied I am these days. The smell from a nearby pile of burning leaves; the morning sunlight as it creeps into the kitchen, gently warming up the room; the easy heat radiating out from my morning cup of smokey black tea-I find these simple experiences enriching beyond measure. May we all find the eyes to experience, appreciate, and share such profound contentment.